The 2017 baseball season is upon us. There is excitement in the air as fans across the country have hope that their favorite teams and players are on the cusp of something great. This year, there may be even more enthusiasm for the upcoming season because of the fantastic year MLB had in 2016. 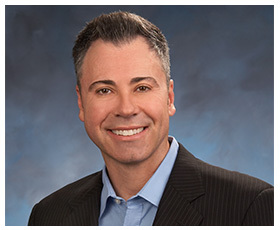 In the editorial to follow, PSA’s Joe Orlando discusses how baseball’s stock seemed to rise in recent times. Play Ball produced baseball cards from three straight years (1939-1941). 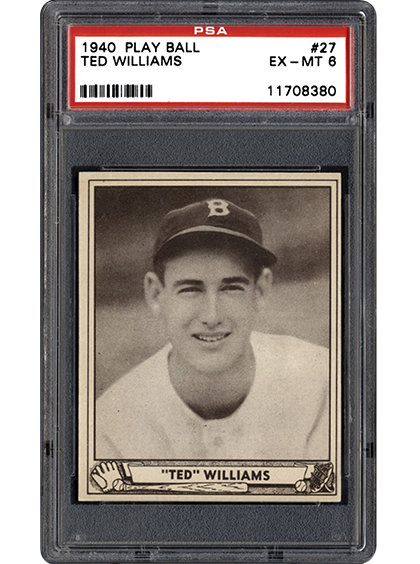 In 1939, they introduced their product with a simple black-and-white design and the set remains anchored by the Ted Williams rookie card. 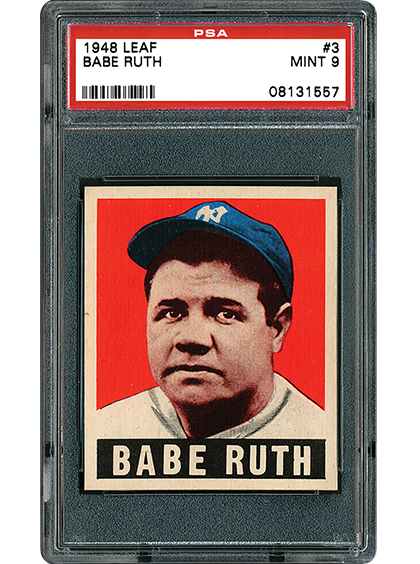 In 1941, Play Ball introduced color to their release and the set remains a hobby favorite. In between those two is the often overlooked 1940 set, one built on legends of the past and present. The 1948 Leaf baseball card set comes with a host of challenges. Poor quality control coupled with an array of short-printed cards makes this issue a real challenge, even for the most seasoned collector. The Satchel Paige card is one that has already surpassed $100,000 in PSA NM 7. In high grade, even some of the lesser names can break the bank. 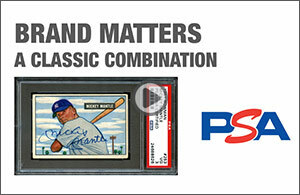 In the following piece, we break down this classic set, from Babe Ruth to Jackie Robinson. 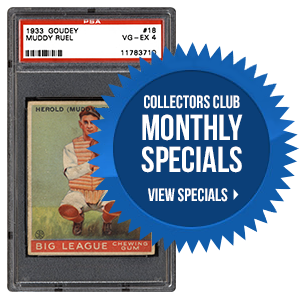 Which of the following baseball card sets from the 1940s is your favorite? New PSA/DNA Set Registry Software! A few weeks ago, we rolled out the mobile version of the PSA Set Registry. Now, the PSA/DNA Set Registry has gone mobile as well! The autograph and memorabilia counterpart to the PSA Set Registry can be enjoyed on mobile devices, including Android and iOS. The sleek, new interface also comes complete with greater ease of use, including clearer text display and larger buttons. Aside from new mobile compatibility, collectors can now upload images to their sets directly from their phones. From autographed photos of award-winning actors to game-used bats, the Set Registry’s latest update allows you to upload photos and share your collection easier than ever before. Should you have any questions, please feel free to contact us at [email protected]. As always, we welcome your feedback and continued support.